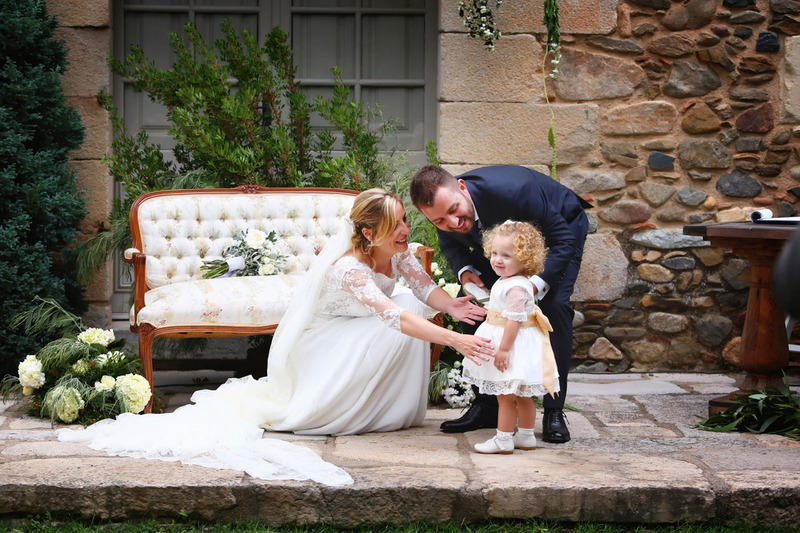 These are the photographs of the wedding held at Mas Marroch del Celler de Can Roca, in Girona, owned by the prestigious chefs, the three Roca brothers who possess three michelin stars. 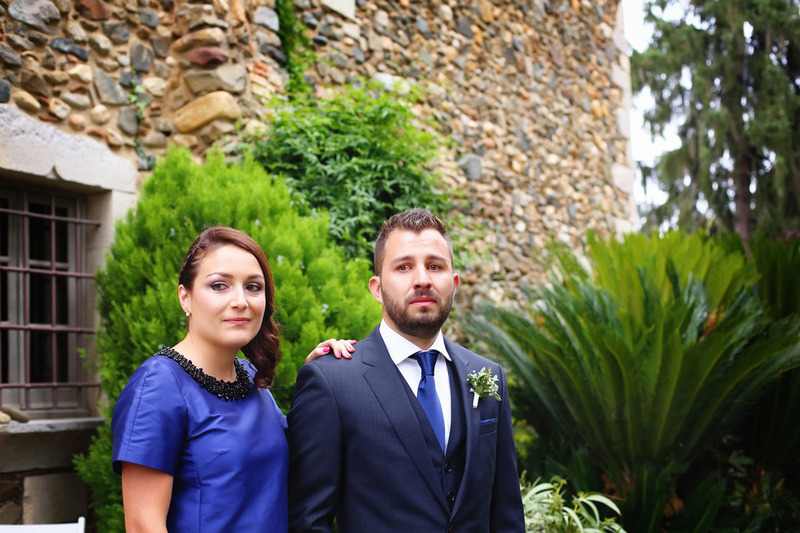 Following photographs are those belonging to the wedding of Xeli and Juan. The report was made by a team of photographers from oliver and Viladoms studio from Barcelona. 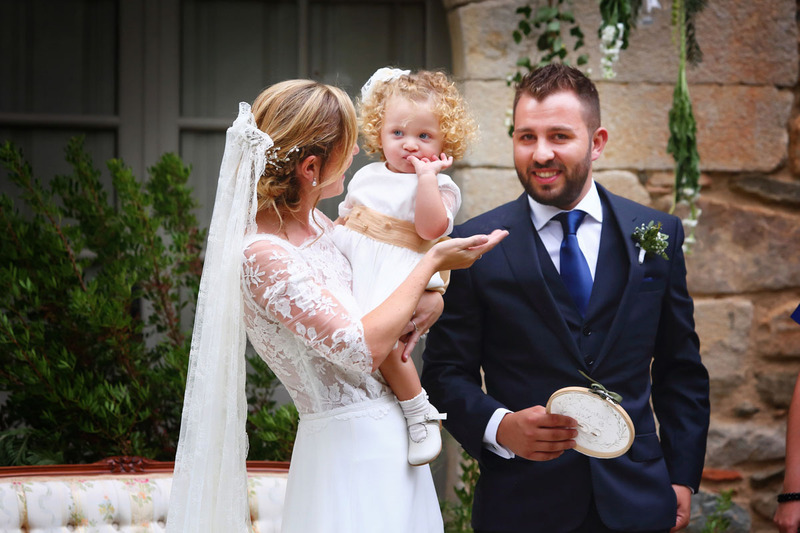 We are professional photographers specialized in photography and video in any type of wedding report in Girona, Barcelona or any other place where you decide to get married. The rock brothers started in 1986 and after much enthusiasm and a lot of hard work they got their three stars from the michelín guide in 2013 and their restaurant was considered the best restaurant in the world. 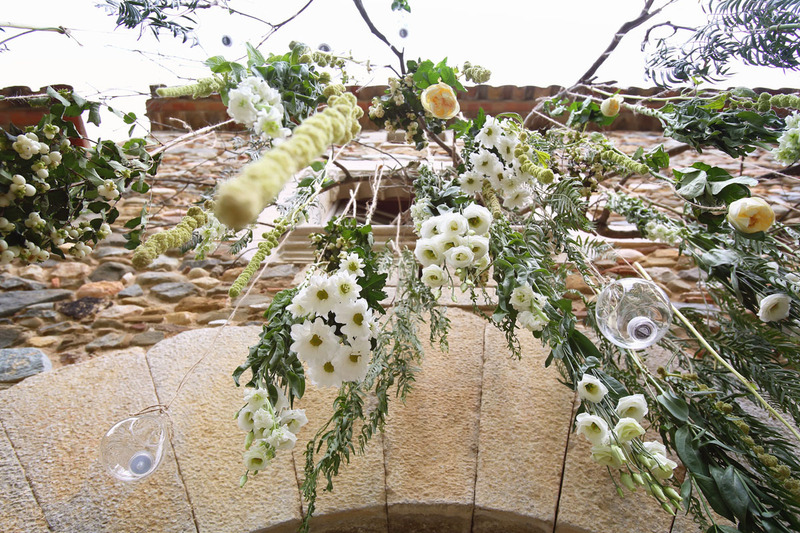 If you want to make your wedding in a special space we strongly advise you to visit the Mas Marroc space where you can find the ideal space for the most special day, to celebrate your wedding at Mas Marroch Celler de Can Roca in Girona. You must go to the street Pla del Marroc 6, in Vilablareix in Girona. The contact telephone number is 609 619 931 and there you must ask for who embodies you kindly from the beginning until the end of the wedding. 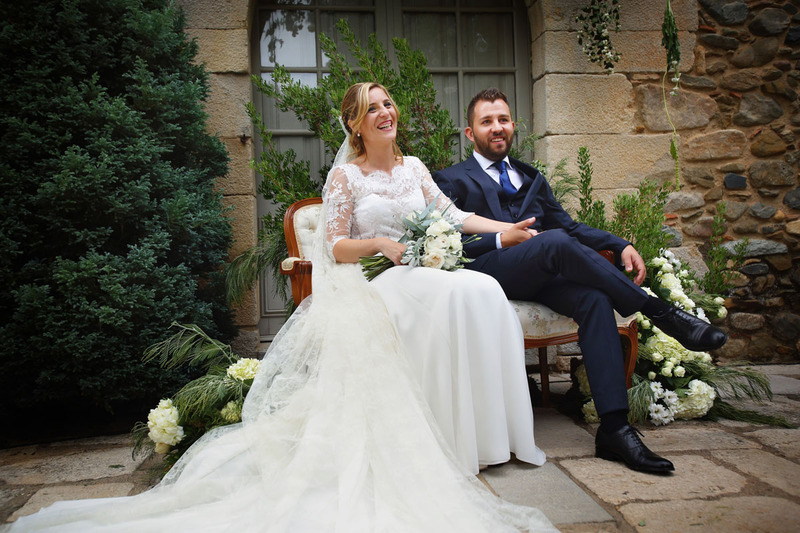 If in addition to celebrating your wedding at Mas Marroch Celler in Can Roca de Girona you love the gastronomy of the rock brothers you can also find them in their restaurant Can Roca, also in the Celler de Can Roca, or in Roca Moo. If you also love ice cream you can also enjoy them in their ice cream parlors in Barcelona or Girona called Rocambolesc Gelateria. In this space specializing in weddings you can also organize any type of event because it is an exclusive convertible space that can be adapted for any purpose. Rock brothers also offer their catering service if what you wish is that they come to your house or farmhouse. It is very nice to know what they think and who feel responsible for having won so many awards and so important in a world as demanding and as competitive as is the gastronomy. Reading about them and visiting their website we have found a few lines about a very old gastronomy treatise in which they talk about the task of the host which is to take responsibility for the happiness of their guests during all the time they are in our house. 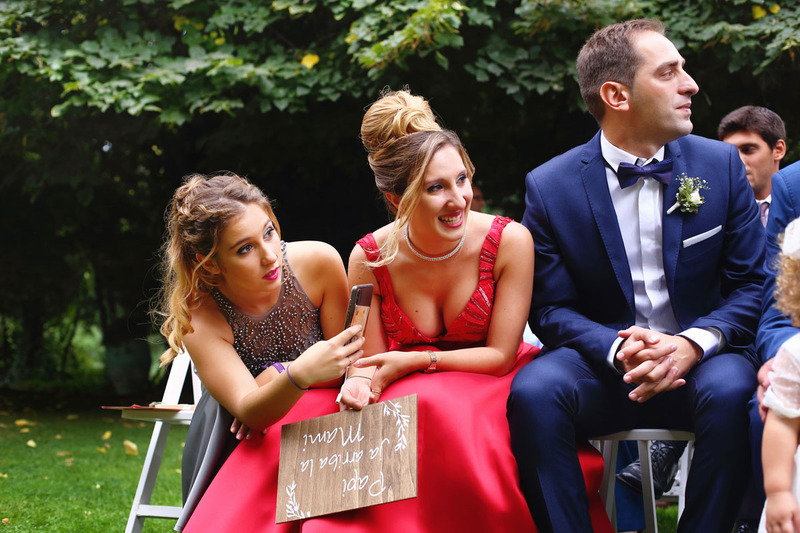 The rock brothers take this treaty to the letter and get involved in everything that surrounds a wedding from food, space, attention and everything to get your guests to feel like the perfect host. 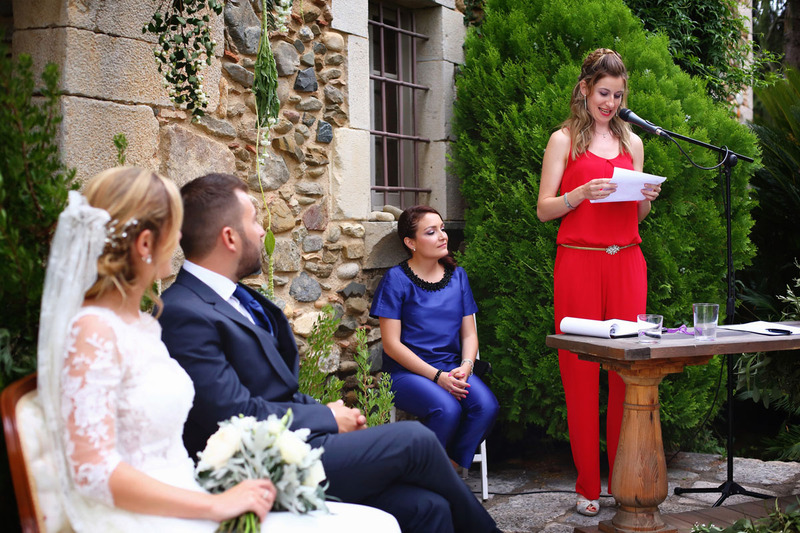 Reading these lines make it clear that if you decide to make your wedding at Mas Marroch Celler de Can Roca in Girona, you will work intensely so that you are happy with them. 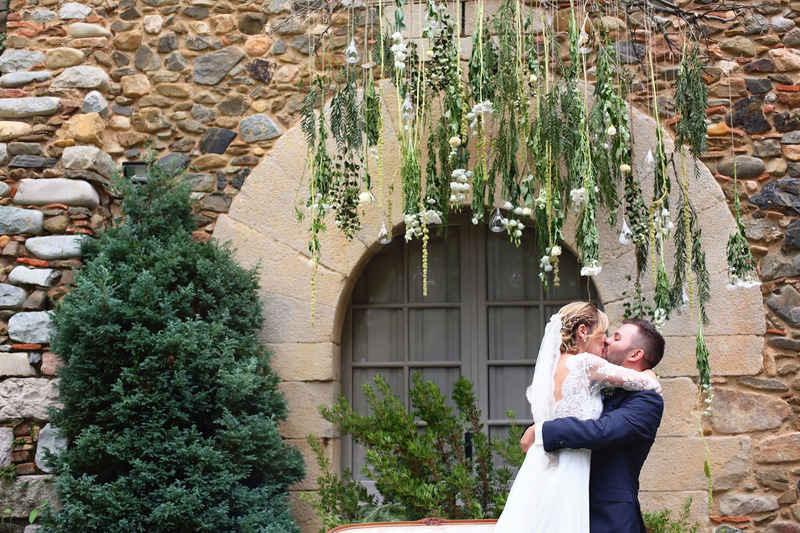 A wedding at Mas Marroch Celler de Can Roca in Girona is a party in a Gothic farmhouse from the 15th century located on the outskirts of Gerona that stands out for its minimalist and adaptable aesthetics. Around the farmhouse we find large, exquisitely landscaped gardens, ideal for outdoor celebrations with views of the farmhouse. The Àgora is a prominent space, formed by an eco-sustainable natural pergola where we can make snacks, dinners, meals, parties, or any event that we have in mind. The idea has always been to have a modifiable space where different environments can be built and at the same time be a space with the power to convert from a dining room, a concert, a training work or a presentation room. When building it was looking for a space where you can enjoy without disturbing or being disturbed. 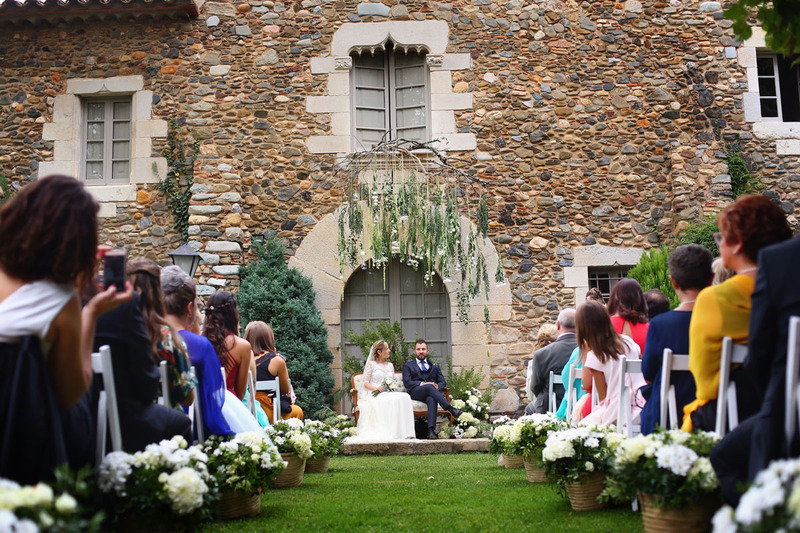 A wedding at Mas Marroch Celler de Can Roca in Girona is synonymous with success. 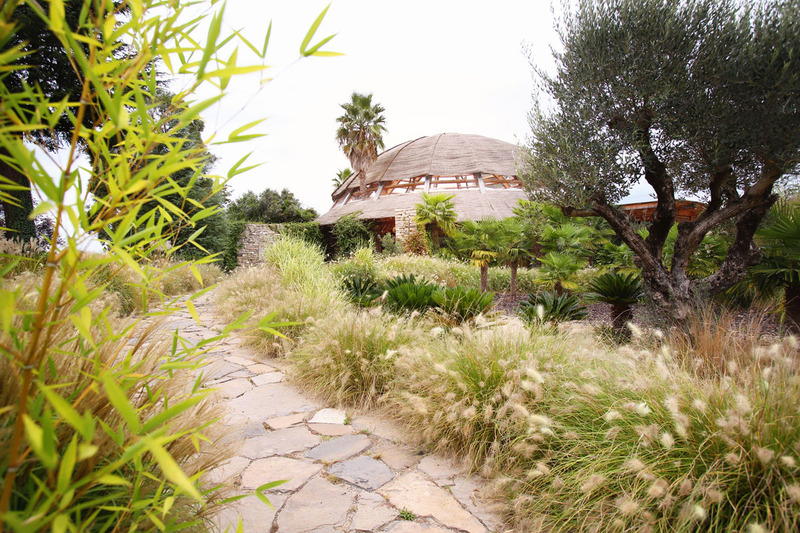 The farmhouse It is located 10 minutes from Gerona and is composed of the farmhouse, the gardens, the main room that measures about 750 m², the glass room about 200 meters ago and the last building called Agora. As PHOTOGRAPHERS OF BODA BARCELONA, we do not love to work in such elegant and spectacular places as Mas Marroch. 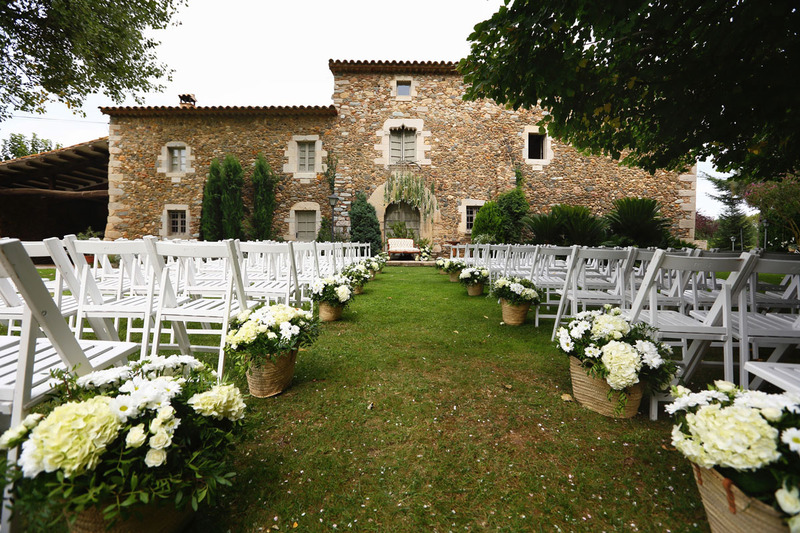 Performing a wedding at Mas Marroch Celler de Can Roca in Girona is a dream for any wedding photographer. When the bride and groom talk to us about this special space, we still did not know it, but when we told them that it was run by the rock brothers, we started searching immediately and we were delighted because it was the first time we were going to photograph a wedding in this place so original and exclusive. 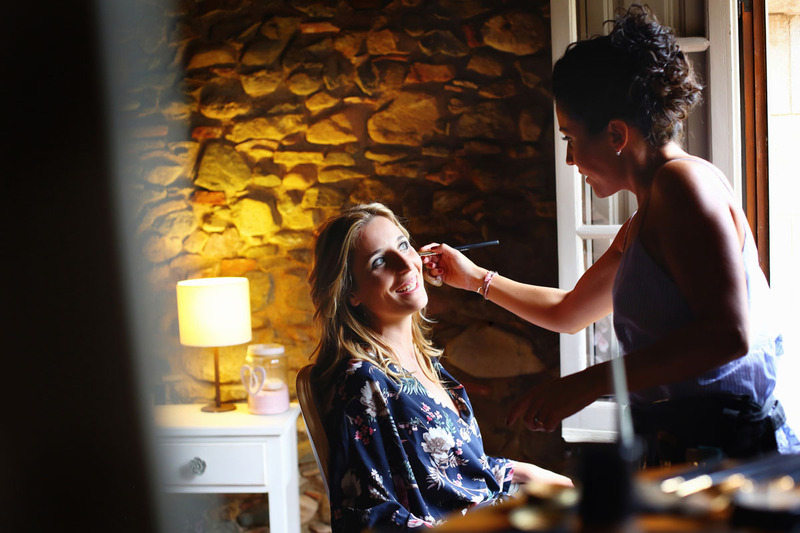 We were sure that it would be a space where every detail would be taken care of and as wedding photographers in Barcelona this is something that we love. When you are a perfectionist and retailer in everything you do especially with your work, you get excited And appreciate working in places where people have the same vision of life as yours, work hard to get people who have hired you to be happy with the result that so much effort cost you. Once we get to this space of the rock family, all tastes. 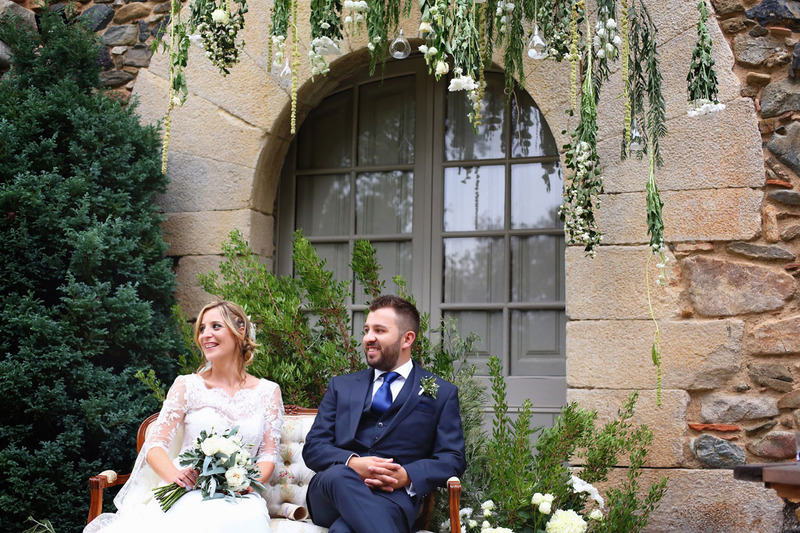 The first thing we saw were magnificent well-kept gardens and we found the ceremony that was mounted in front of the house and that Lucia declares a very modern and elegant floral decoration placed just above the armchair where the bride and groom would be sitting while their ceremony. We went around the restaurant and we appreciated many details such as flowers hanging from some trees, a stone path that led to the agora, this cozy circular building where we found many nice corners with sofas tables and all made of stone and wood. The farmhouse is built in exposed stone and is made use of to make a portrait of the groom peeking through one of its windows. We also took the opportunity to do something similar to the bride while a friend was making her up. We captured different photographs in color and black and white and also made some general views of the ceremony still empty. We also took some photographs of details such as the shoes or the stand where the rings of the couple were going. We went back up to the bride’s room where we kept taking some pictures of her makeup and her hair while her daughter Elsa played near her mother. 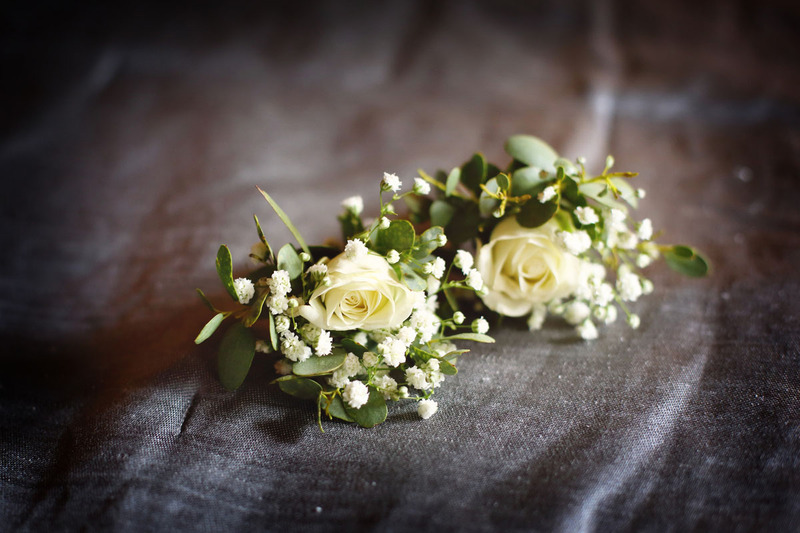 We found the flowers that would be placed as if caught in the buttonholes of the wedding godparents and we also photographed the bride’s dress hung, and her hairstyle with swarosky details. The light that entered the room was beautiful and as wedding photographers in Barcelona we love working in these special light conditions. Once the bride was ready we made some pictures and immediately her parents appeared who helped her with the last touches of her dress. They began to arrive some relatives to those that the fianc2ee put the on and while his mother tended to the small daughter of the fianc2ee. His godfather arrived at the bride placed the pin in the Hall of his jacket and then handed him the bouquet of the bride and read the verse, as is tradition in Catalonia .. When he finished reading, the bride and the godfather embraced and we took some pictures together. 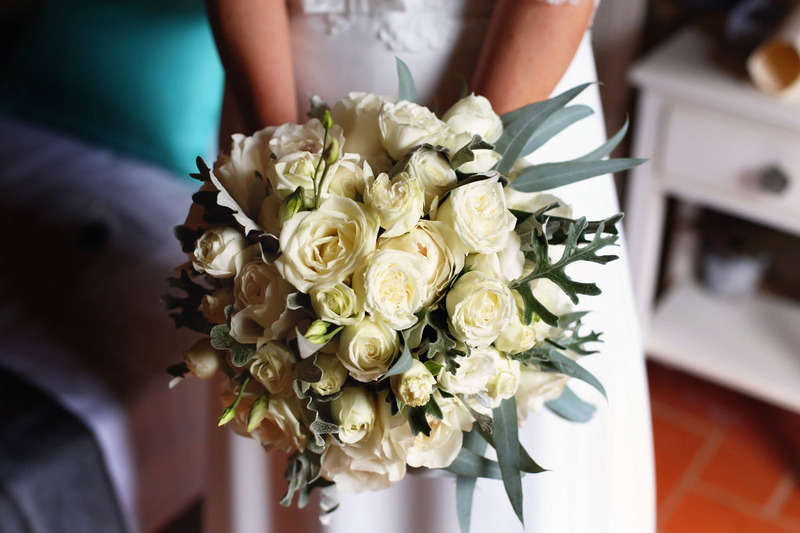 We also take the opportunity to take a photograph of the bride’s bouquet and then take family photos with her parents. 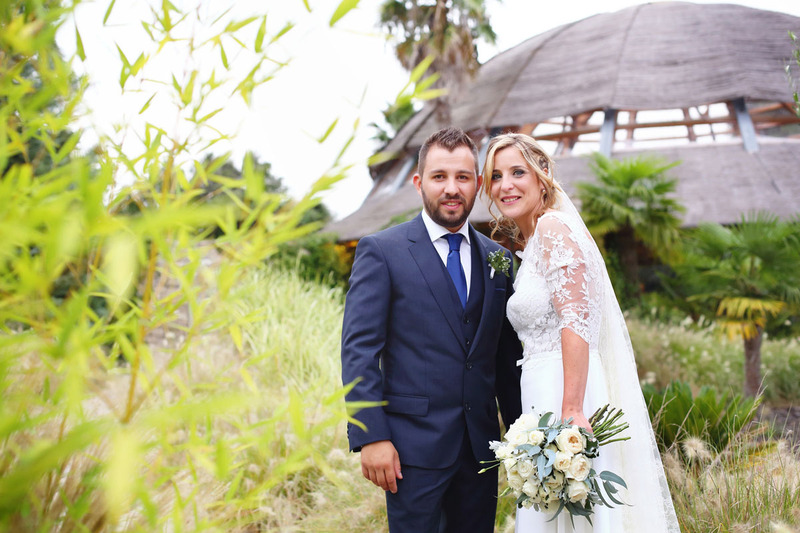 As wedding photographers in Barcelona we were making these photographs with the bride and enjoying her wedding at Mas Marroch Celler de Can Roca in Girona. 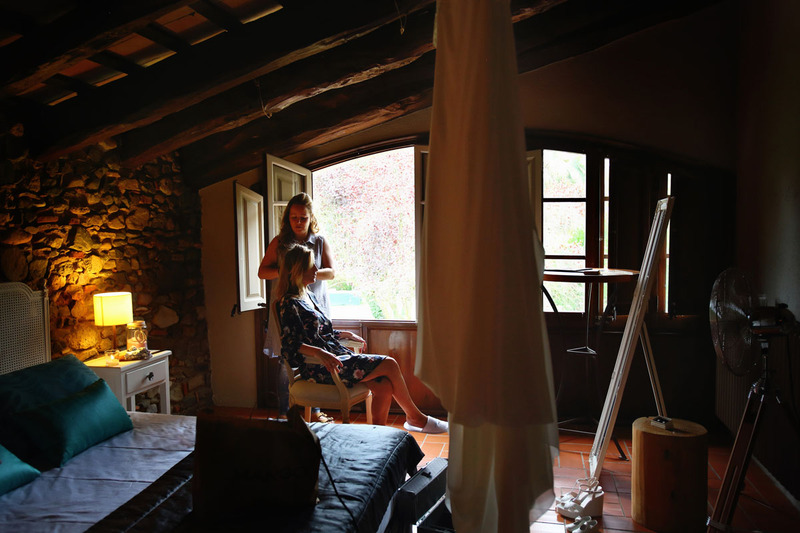 While all this was happening in the bride’s room, at the same time at the wedding at Mas Marroch Celler in Can Roca de Girona we are also photographing the groom in his room. The groom dressed at the same time as the bride. While the groom was dressing we were photographing these moments with his parents who helped him with the shirt, the cufflinks, the tie etc. After dressing we took some pictures with her parents and also with her two sisters. 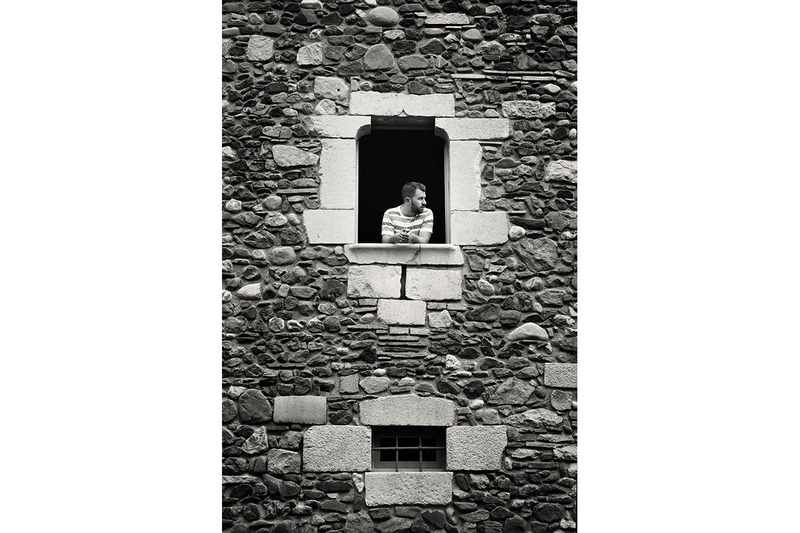 We also made some images of the boyfriend alone next to the window of his room. 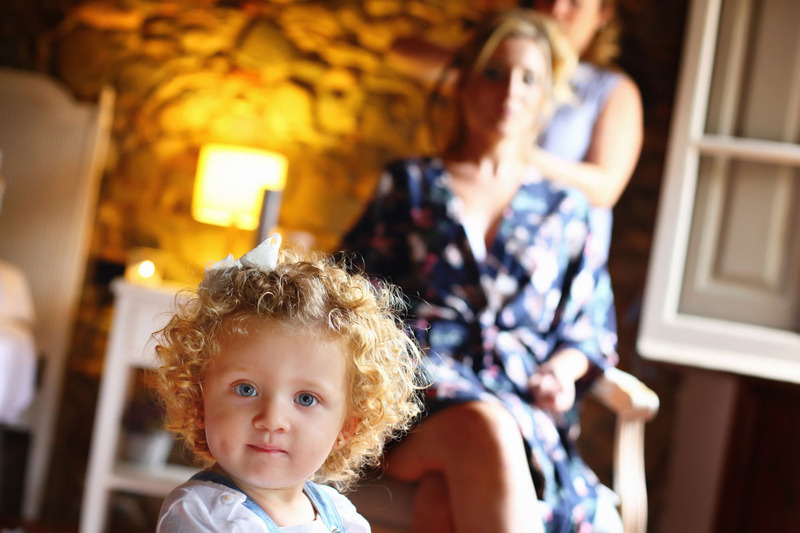 At a certain moment, his great friend and godfather also joined him and we made some pictures in the room of this wedding at Mas Marroch Celler in Can Roca de Girona. The groom as usual finished dressing before the bride and went to the gardens next to where the wedding ceremony was going to take place at Mas Marroch Celler de Can Roca in Girona. There he received all the guests who one by one came to say hello and wish him all the best. 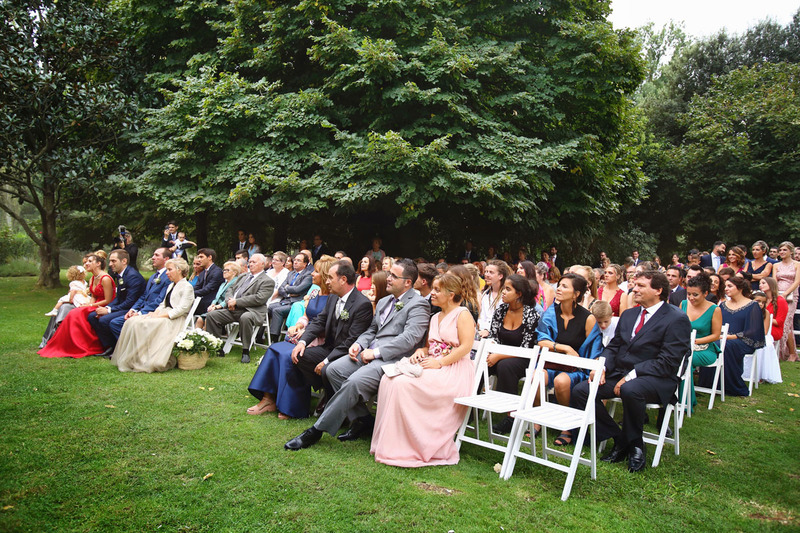 The time of the ceremony was approaching and the parents, together with all the guests, began to enter and sit down. The parents of the groom entered very smiling by the corridor of the ceremony and a few moments later the groom entered with his mother who accompanied him to the center. After a few minutes of waiting The boyfriend was moved and began to mourn while his daughter Elsa the little girl of two years, came alone through the hall carrying in his hands a sign in which Daddy put the mom comes. When the little girl came to where her father was, he hugged her and was even more excited. In a few moments the bride arrived with her father and everyone stood up as the bride entered the hallway to the place where the groom was waiting. The couple embraced, and was excited to see each other. The ceremony began and several friends of the couple said some emotional words while the couple listened to them very excited. 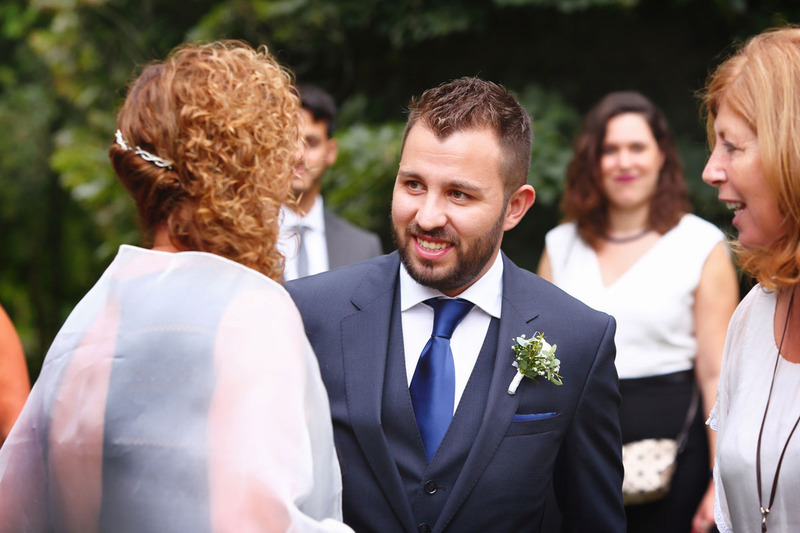 As wedding photographers in Barcelona we enjoy a lot while we work at weddings where both the bride and groom openly show their emotions and enjoying every moment. We were photographing all eyes, all the applause, and it was time for the rings where the couple exchanged their rings with their little daughter. Then they signed and started walking down the aisle with all their guests as they threw the petals over them. The couple were very happy, especially the girlfriend who was euphoric. After 20 minutes of kisses, congratulations and hugs, we accompany the couple to take some pictures of a couple. Our experience as wedding photographers in Barcelona performing a wedding at Mas Marroch Celler de Can Roca in Girona was a pleasure. 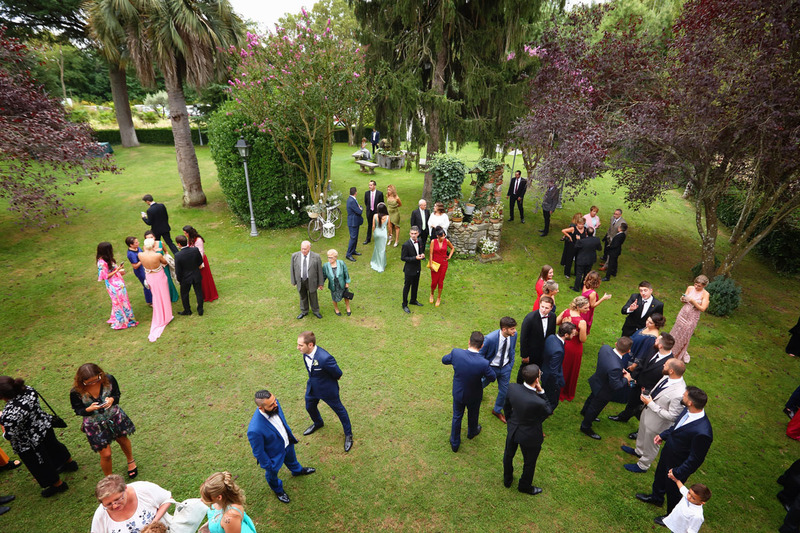 The guests went to the space prepared to make the aperitif, a circular place called agora where the couple had prepared a small live music group while the waiters of the Can Roca seller were introducing them to the different appetizers. Everyone was very relaxed enjoying the company of friends and family while they enjoyed different appetizers. 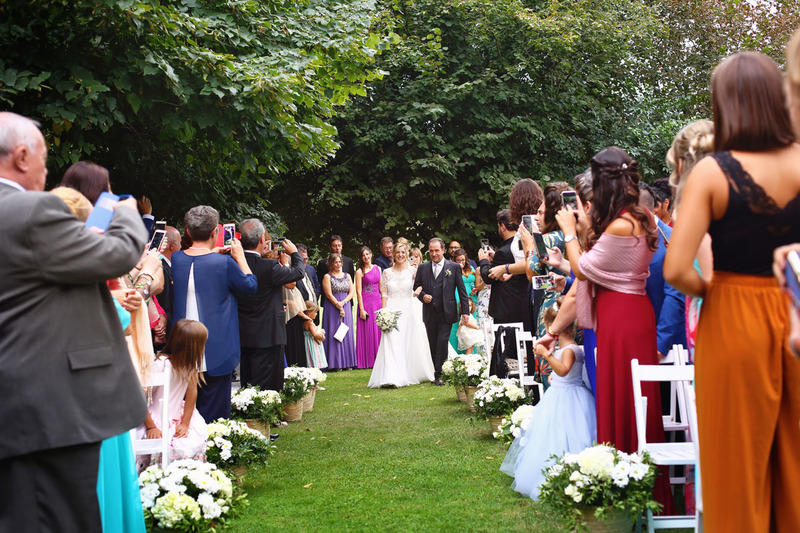 The guests approached the couple to congratulate them again and toast with them. The appetizers of this wedding at Mas Marroch Celler de Can Roca in Girona were spectacular. 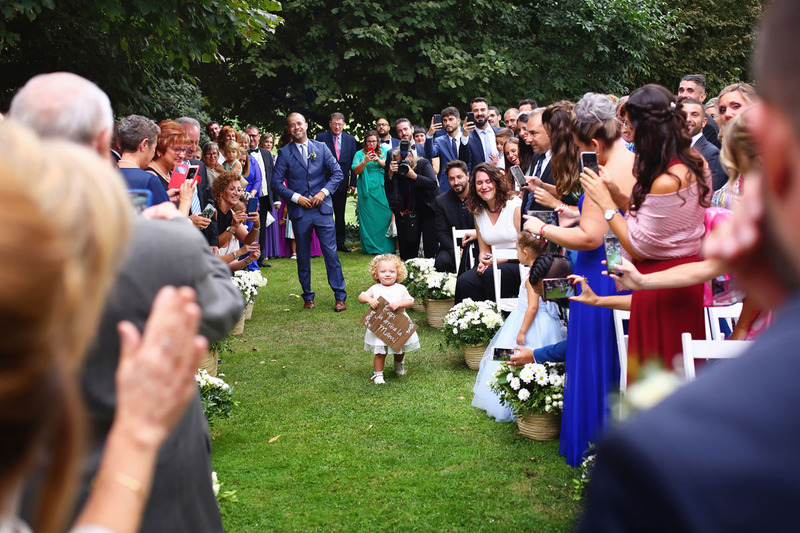 Once the appetizer ended, the bride gave some bracelets made of orchids to her four best friends and then we took the family and group photographs with all the wedding guests at Mas Marroch Celler in Can Roca de Girona. Once the group photographs were finished, the guests entered the farm room. It is a very elegant room decorated only with two colors white and black in which the couple find the names of the couple written on two panels. Once all the guests were seated at their respective table, the couple entered greeting and smiling while the music they had chosen for this special moment sounded. At the presidential table were the parents of the bride, the parents of the groom, and especially between the boyfriend and girlfriend sat his little daughter Elsa. The dinner of this wedding in Mas Marroch Celler de Can Roca in Girona was very quiet until the delivery of gifts that the friends had prepared for the couple began. The music played and everybody got up to toast the couple with cava. The boyfriend and girlfriend took the bus and said some words of thanks to all their guests and then asked the sponsor to read the verse he had read to the bride in the early afternoon when he handed the bouquet to her. From the restaurant also prepared some detail as it was the time when 10 waiters came to the room holding the letters that were the name of the two boyfriends and presented them in front of the presidency. Then the cake was presented that was formed by five pieces on top of each other on a black piece of furniture decorated with candles, flowers and the classic pastel dolls. The bride and groom got up and went to the cake to make the typical cut of the cake. After and after the cut of the cake the couple distributed some details for some guests and later the bride gave her bouquet to one of the groom’s sisters to wish her to find a partner. Then a large group of friends got up and made a special gift to the couple, which consisted of a gift voucher where they were invited to spend a weekend with the whole family. On the part of the couple, some details were also handed out, including two murals with photographs of their daughter Elsa, which they gave to their respective parents. 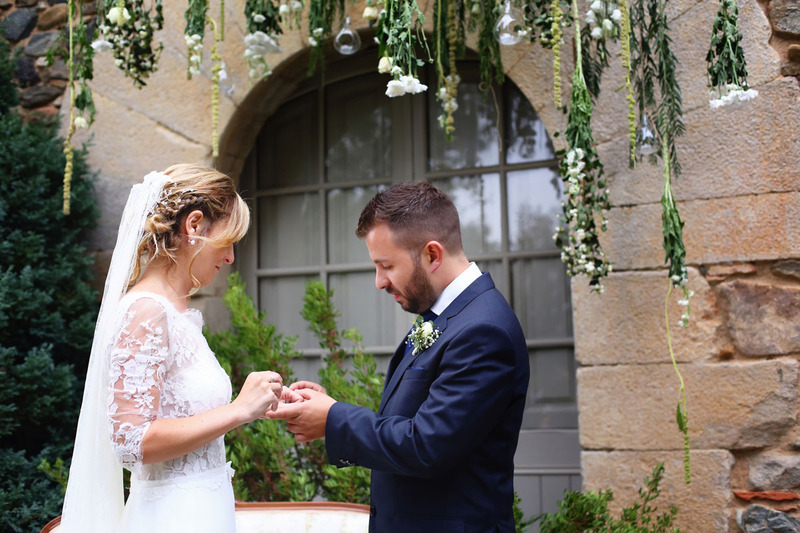 They were very emotional moments that happened at this wedding in Mas Marroch Celler de Can Roca in Girona where everyone was very happy. It was a very fun dinner and above all animated where after all that happened there was still time to make more gifts like the one made by her three friends singing a song to the couple. 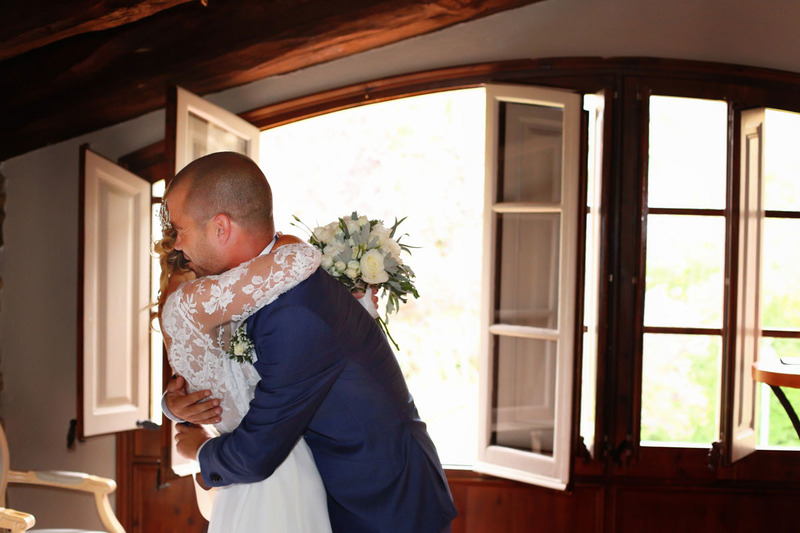 Finally, the first dance of the couple began at the wedding at Mas Marroch Celler de Can Roca in Girona. The father of the bride approached them and continued the dance with his daughter while the groom’s mother did the same with her son. Right after this first dance a large group of friends dedicated a group dance that both the boyfriend and girlfriend enjoyed a lot. 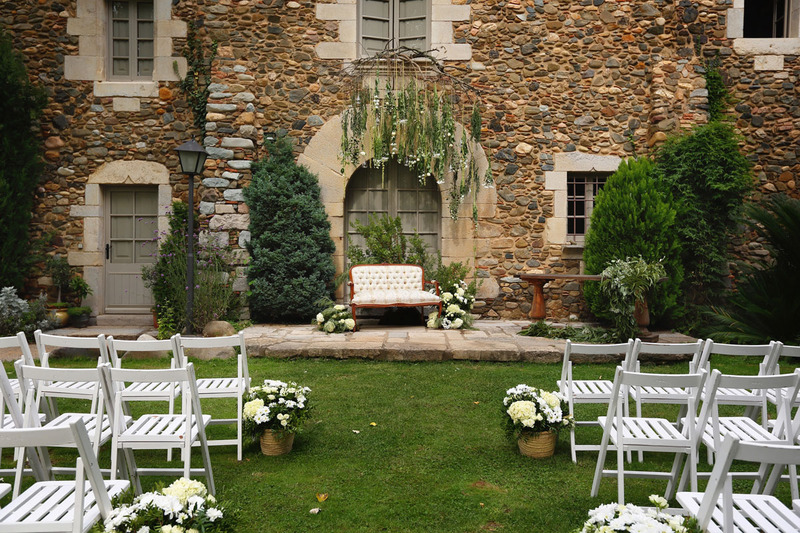 If all the weddings at Mas Marroch Celler in Can Roca de Girona are like this, we would like to work here every week. The couple had a great time even joined these dances to enjoy them more closely with their friends. 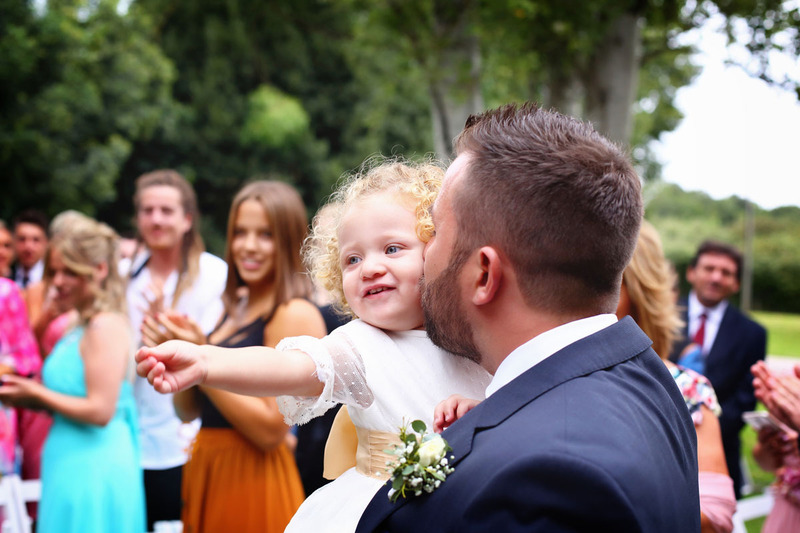 We as wedding photographers in Barcelona always photograph the first dance and we stayed one hour more to capture the atmosphere and more guests dancing and enjoying together with the couple. 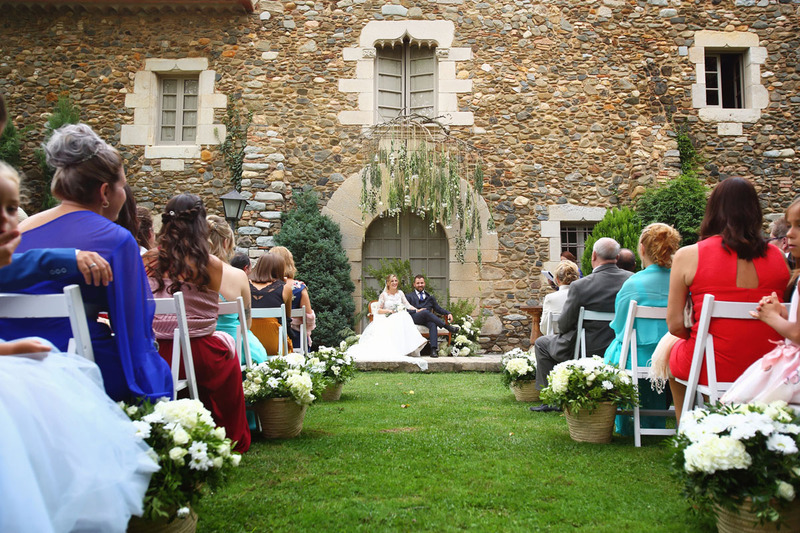 In this wedding in Mas Marroch Celler de Can Roca in Girona was no different and we even stayed much longer. 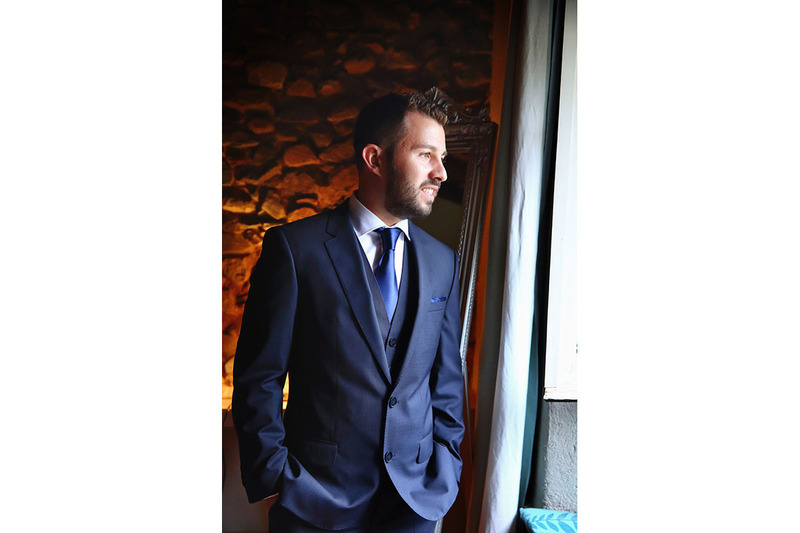 When you’re at a wedding in Mas Marroch Celler de Can Roca in Girona And you’re having a good time working, you feel like you’re one more of the wedding, you end up melting and almost say you stop working to enjoy the company of everyone. It was very fun to photograph some moments of the dance, such as the moment when they kept the boyfriend or watching him chew on a friend’s tie, or dance with his mother while the girlfriend was part of a conga. We all had a great time in this special wedding. 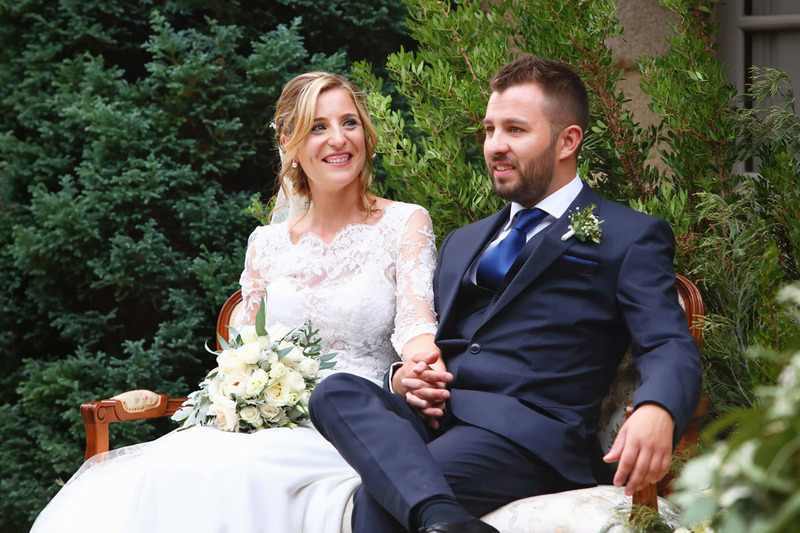 As wedding photographers in Barcelona, ​​we want to thank the couple for trusting us as their photographers.